NBC RENEWS DRAMA SERIES “THE BLACKLIST” FOR A SEVENTH SEASON! 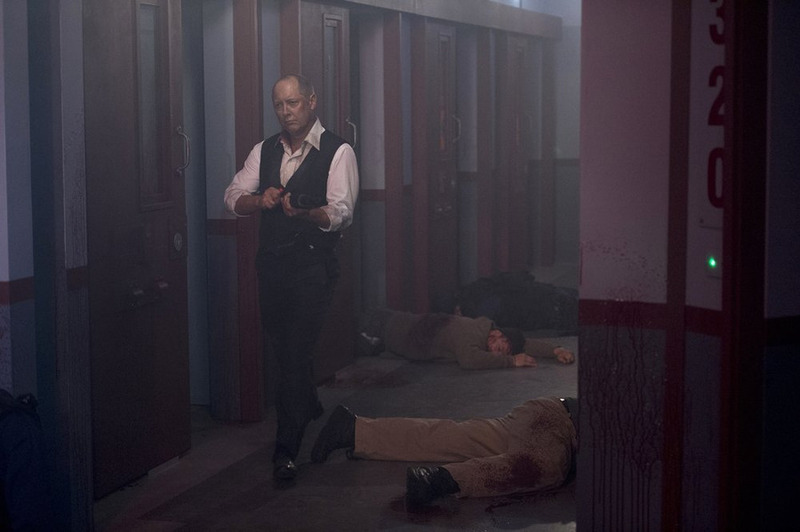 The Blacklist – Raymond ‘Red’ Reddington (James Spader) – Photo by Will Hart/Courtesy of NBC. NBC’s procedural The Blacklist has been renewed for a seventh season as part of a unique deal reached prior to season six. Tune In Alert: The Blacklist/The Blacklist: Redemption Two-Hour Event Is Tonight! There’s a new crime fighting team in town tonight! Tonight’s episode of NBC’s The Blacklist – The Apothecary #59 – leads into the premiere of The Blacklist: Redemption – Leland Bray. Where The Blacklist follows an FBI team acting on intel from world-class criminal Raymond Reddington, The Blacklist: Redemption follows a team of former criminals seeking redemption by tackling cases in which even governments might be unwilling to meddle. The Blacklist: The Complete Third Season Comes to Home Video! The third season of The Blacklist is coming to home video (Blu-ray, DVD) on August 2nd. Besides the death of Elizabeth Keen arc, the home video releases are notable for the uneven distribution of bonus material – only the Blu-ray gets episode commentaries, deleted and extended scenes and a pair of featurettes on the season’s stunts and villains. Those of us still stuck in home video’s Bronze Age will have to settle for Outside the Box: Making The Blacklist Comic Book; All About Aram, and Red’s Gems: Favorite Lines from Season 3. The Blacklist – Fugitive Times Two! The third season premiere of The Blacklist (NBC, Thursdays, 9/8C), The Troll Farmer, picks up within minutes of the conclusion of the second season premiere, with Raymond ‘Red’ Reddington and FBI Special Agent Elizabeth Kean on the run following Kean’s killing of the Attorney-General/key Cabal member. The season three tag line, ‘It’s good to be wanted,’ is – from an audience member’s perspective – right on the nose. 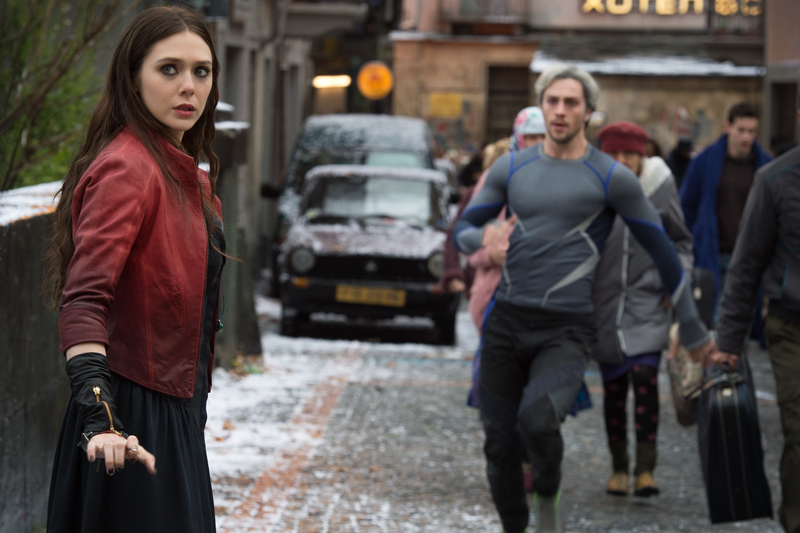 Age of Ultron: Meet Sinister Siblings Scarlet Witch & Quicksilver! Avengers: Age of Ultron writer/director Joss Whedon introduces Scarlet Witch and Quicksilver in a new video from Marvel UK. Check it out after the jump. 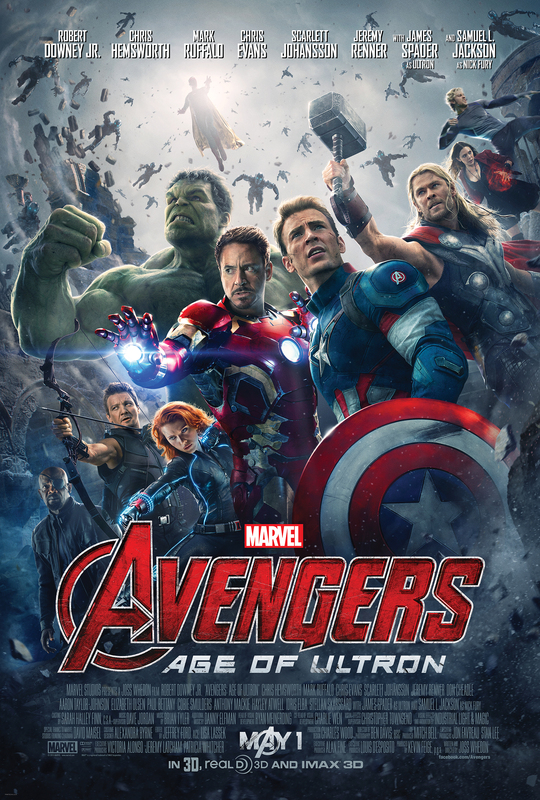 Marvel’s Avengers: Age of Ultron opens on May 1st. Avengers: Age of Ultron opens on May 1st. Check out the crazy new TV spot after the jump. 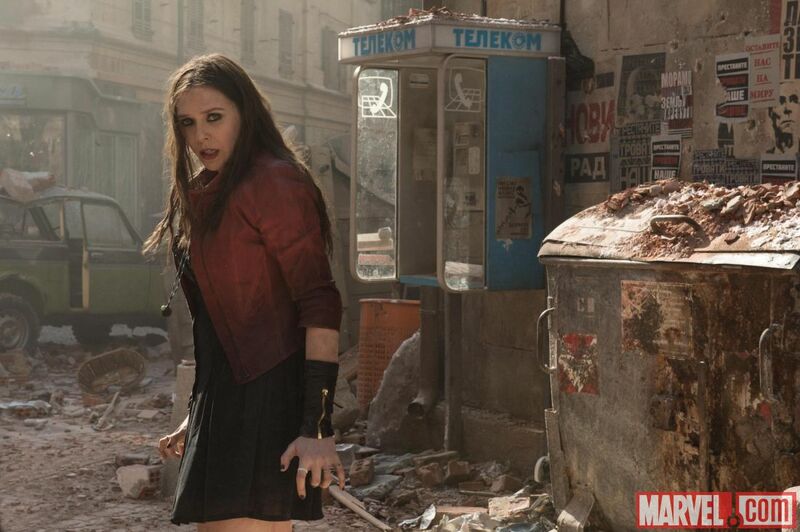 Hopeful Trailer: Avengers: Age of Ultron! With less than two months until its premiere, Marvel has released the third (and final?) 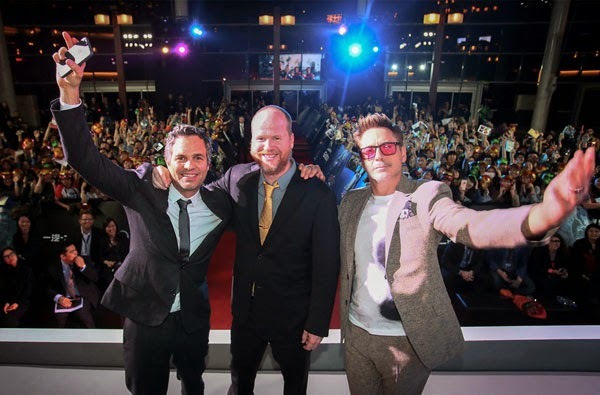 trailer for Avengers: Age of Ultron. Besides the extra footage of the Hulkbuster vs. Hulk brawl, we get a bit more of Ultron – and is he taking his programmed task to the ultimate limit! Avengers: Age of Ultron opens on May 1st. Check out the new trailer following the jump. The Blacklist: Red’s Worst Nightmare Escapes! NBC’s The Blacklist returns with part one of an explosive two-parter following the Super Bowl Sunday. Taken by the CIA, Red warns them that Luther Braxton (Ron Perlman) is about to escape. They don’t listen. (Nobody ever listens…). For an extend sneak peek at Luther Braxton Part 1, follow the jump. Then go behind the scenes as cast members talk about the show’s super episode and transition to Thursday nights beginning February 5th. 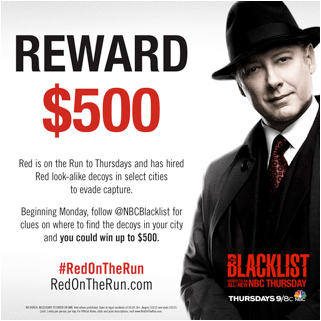 In anticipation of The Blacklist’s move to Thursday nights, NBC is launching #RedOnTheRun, a scavenger hunt in 25 cities! From February 2-5, fans will go on a scavenger hunt to find Red Reddington look-alike decoys in their city by solving the clues on the show’s social media handles. This culminates in a national tune-in-and-win sweepstakes with a $25,000 cash prize during the show’s Thursday premiere on February 5. Fans can participate in #RedOnTheRun by following @NBCBlacklist on Twitter or liking The BlacklistFacebook page. The first three fans in each city to catch the Red decoy, wearing his signature suit and fedora hat, will be rewarded with cash prizes – $500 for 1st place, $300 for 2nd place and $200 for 3rd place. Visit http://www.redontherun.com for more information, including clues in each city and the show’s Twitter feed next week.